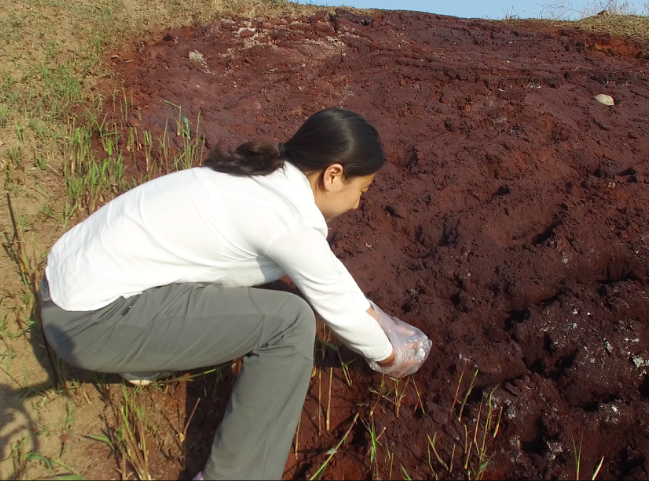 Kong Lingyu isn’t afraid to get her hands dirty while investigating environmental wrongdoings. Kong Lingyu is not one for self-publicity. She thought that quitting her job as a journalist and becoming an investigator for a non-governmental organisation (NGO) would mean she wouldn’t have to appear in the news any more. Well, that is until earlier this year when she helped expose a pollution scandal in Hebei province, northern China, after discovering two massive seepage pits full of contaminated water. 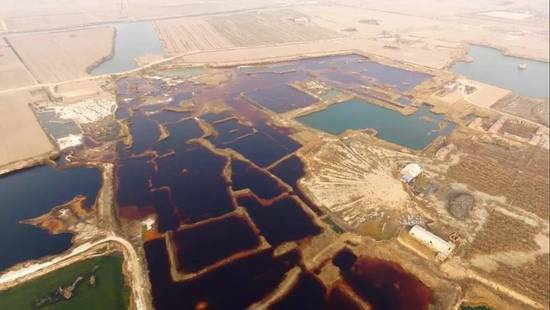 Aerial photos of the two pits – one 30,000 square metres and the other 17,000 square metres – garnered huge media coverage in China. 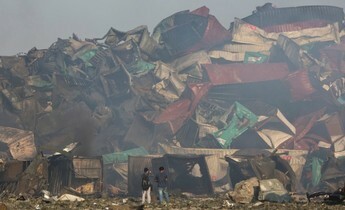 In response, the Ministry of Environmental Protection soon dispatched an official to oversee the clean-up, side-lining the provincial authorities in the process. Despite being only 26, Kong Lingyu has plenty of experience reporting on environmental issues from across the country. As a journalist, she worked for the Chinese media group Caixin Media, and just the year before had won the chinadialogue Young Journalist award for her investigative reports into China’s water pollution problems. This centred on a scandal that erupted in 2014 over polluted water being dumped in the Tengger Desert. Kong travelled to remote north-west China to investigate. 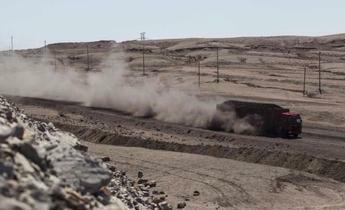 The polluted water was being dumped directly into evaporation pits in the desert sands without any treatment. Her article led the Ministry of Environmental Protection to make the case one of its key priorities for the year, and her “Pollution Conspiracy” series of articles earned awards. Kong now works for the Chongqing Liangjiang Voluntary Service Centre, a civil society group trying to stop industrial pollution. It investigates and monitors sources of pollution, oversees environmental impact assessment processes, pushes for greater enforcement of environmental laws, and submits freedom of information requests. The group’s investigations can last several years. This is a major change from journalism where a big news story can bring widespread attention and may even be read by the country’s top leaders, resulting in a quick resolution. But the delivery of news in China is changing. Last year saw microblogging and social media platforms became more popular in the country, and to the detriment of traditional media outlets. With the mainstream media having less control over information sharing, the perceived value of journalists has been eroded. Like many others in the media, Kong changed career. But while others went into corporate public relations, finance, or started their own firms, she went to work for an NGO. Kong’s work as an investigator for an NGO gives her the same freedoms she had as a reporter only without the pressure to find new stories. This allows her to go deeper into specific issues. In August 2016, not long after she’d started her new job, she saw on satellite photos that two new ponds had appeared at the Shaanxi Yulin Yuheng Chemical Zone’s water treatment plant, which she had previously investigated. After the publication of her award-winning article in 2015, the Ministry of Environmental Protection had already targeted illegal evaporation pits, and the local environmental bureau had ordered improvements to be made. 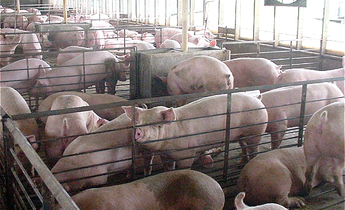 But upon spotting the new pits, she and her colleagues decided to pay another visit. They found that the plant, which had been investigated and punished by both the Ministry of Environmental Protection and the local government, was still emitting foul odours and operating much as before. The two new ponds were being used to hold newly polluted water. Kong couldn’t help but sigh – two years ago she’d covered these scenes as a reporter, and now she was back doing the same work for an NGO. 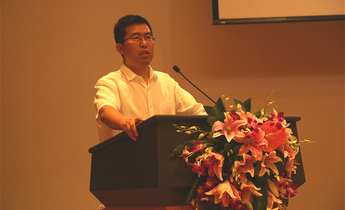 But Kong has also seen how environmental NGOs are getting more respect in China. In April, her request to meet with the Yulin Environmental Protection Bureau was granted. The bureau was “friendly and comprehensive” in discussing issues with the water treatment plant. That wouldn’t have happened when she was a reporter. “It’s usually impossible for an environmental protection bureau to tell a reporter the whole story,” she says. But the bureau’s openness also left her feeling helpless. After all, it hadn’t shut the water treatment plant down because the chemical zone is a major tax contributor, and making improvements would be difficult. Wanbangda, an environmental technology company employed to manage the plant, told her their contract was soon to expire and would not be renewed. Losses incurred during the construction stage had made it hard for the company to operate the site. Residents were dissatisfied. In late 2016, they told Kong they wanted to move en masse. But when she returned this April some villagers told her it looked like funding for the relocation would not be forthcoming. So what’s to be done about the water treatment plant? 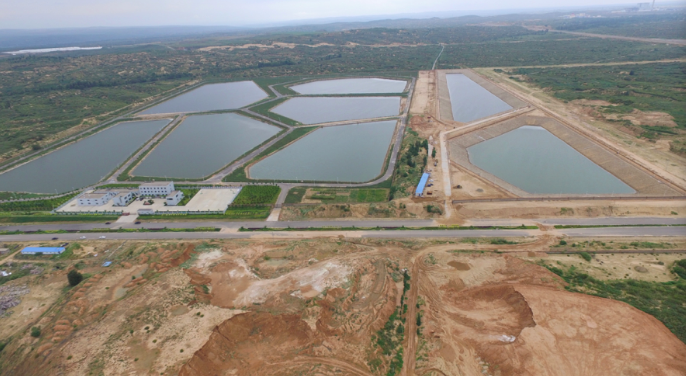 The Environmental Protection Bureau has said the only option is to wait for the ponds to be filled, and then have the companies in the zone limit operations. It seems there’s no cure. Kong understands the problem: this particular chemical zone is just one example of recent expansion of the coal-chemical industry across China’s north-west. Approvals were gained without effective oversight. 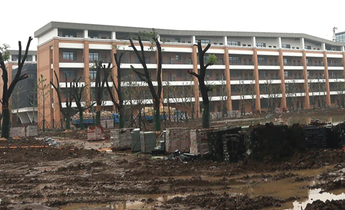 Now, environmental requirements have been toughened up the zone administrators and the companies are in a difficult position. “The work of NGOs often ends once a problem has been exposed or a freedom of information request has been submitted. Organisations rarely have the ability and the energy to follow up on solutions, or find out why a problem hasn’t been solved,” explains Kong. There’s little hope the media will help either. It can mobilise public opinion but while the seepage pits at Dacheng, and the pollution ponds at Yulin, garnered the attention of the public, the media cycle soon moved on. Kong thinks the solution is to bolster Chinese NGOs so they can analyse issues fully and influence policy more effectively. But this will remain a difficult path. “I don’t know what’ll happen, so I’ll just keep working,” she says. China's environmental journalists "deserve more recognition"